Imagine savoring a pecan pie martini, a pecan encrusted grouper, or a slice of White Russian pecan pie? These are some of the pecan specialties you’ll find in Florence, South Carolina. Originally known as a railroad hub, Florence is gaining fame as the home of the South Carolina Pecan Trail. 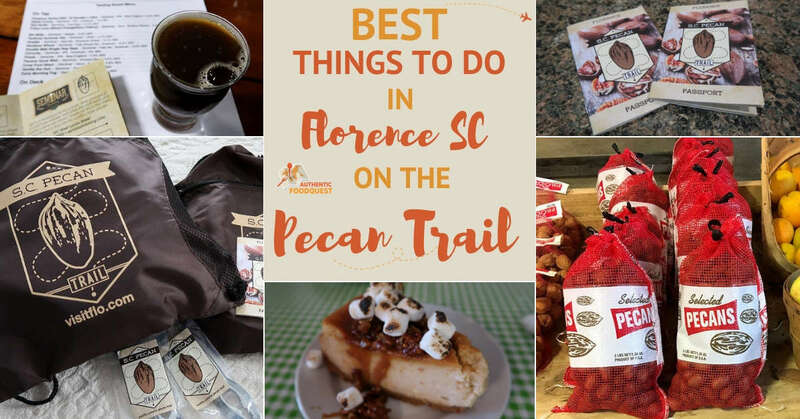 Exploring the pecan trail is one of the best things to do in Florence SC. 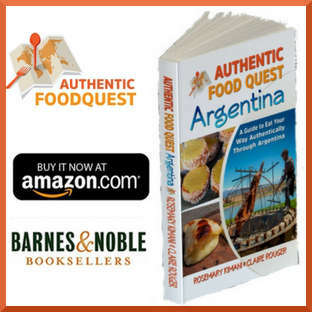 With a wide number of local restaurants, stores, and markets featuring pecan related products, this charming town is a culinary gem. While exploring the food in South Carolina, we stopped in Florence for a nutty adventure. Follow in our footsteps to some of the best stops on the South Carolina Pecan Trail. Click below to get a glimpse into the South Carolina Pecan Trail. We were surprised to learn that Florence, was once home to the largest shelling operation in the world. Even though the facility moved, the retail operation remains in Florence, at Young Plantations, a fun stop on the South Carolina Pecan trail. Pecan trees grow naturally in the Southern part of the U.S., and American growers produce over 80% of the world’s pecan supply. Currently, pecans are found in 15 Southern U.S. States including South Carolina, with Georgia and Texas being the main pecan producers. 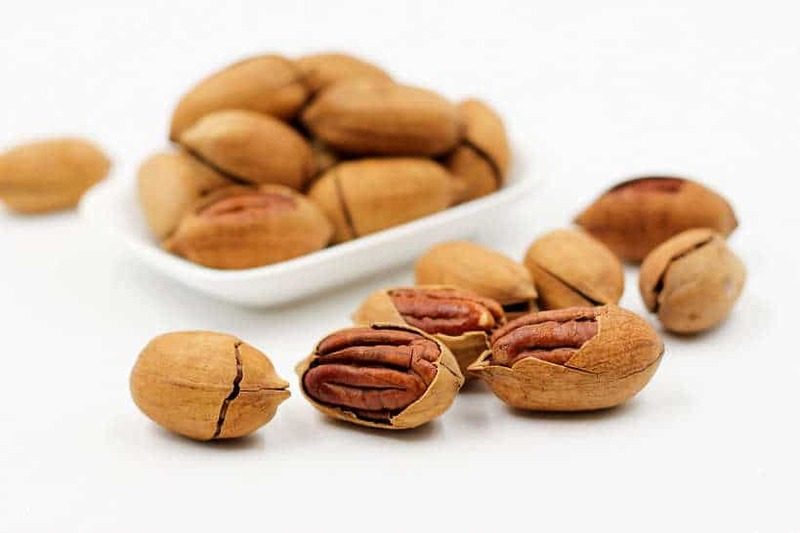 Pecans are the only major tree nut native to America. Originally, they were foraged as a wild nut by Native Americans. When European explorers came, Native Americans began planting pecan trees and trading the harvest. Today, Florence keeps the pecan tradition alive with the annual South Carolina Pecan Festival and the year-round South Carolina Pecan Trail. To get started, pick up a South Carolina Pecan Trail passport which will serve as your guide to participating stores and restaurants. You can get one at any of the stops we’ve highlighted below or simply go to the Florence Convention & Visitors Bureau. At each stop, collect a stamp whenever you make any purchase. It only takes four stamps to earn your first swag, a nutcracker. This tool comes in handy when you buy fresh pecans in their shells. With eight stamps, you’re up for a nutcracker and stylish “pecan colored” drawstring bag. And if you’re determined to fill up the passport with 21+ stamps, you’ll love the grand prize. 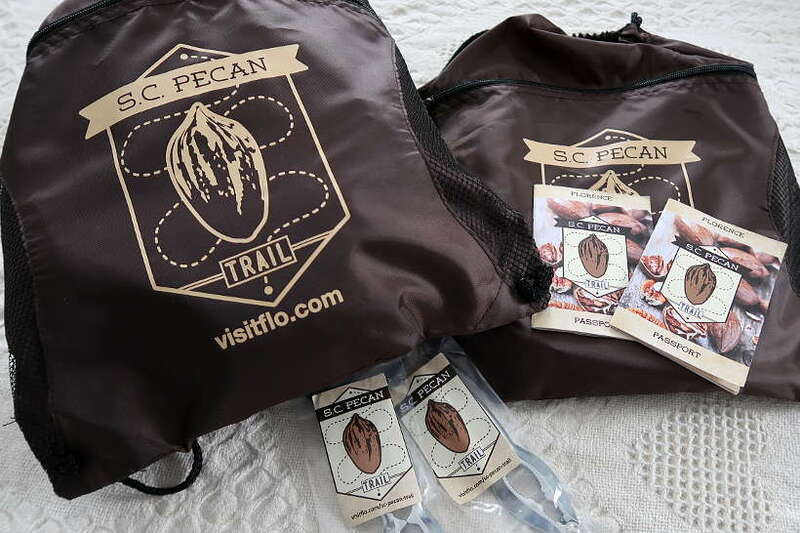 A fully stamped passport earns you a South Carolina Pecan Trail t-shirt, drawstring bag, nutcracker, and mini pecan pie. Simply return the stamped passports to the Florence visitor center in person or send it in by mail for your pecan swag. Looking through our passport, we were quite amazed at the number of participating restaurants. There are more than 20 local restaurants and establishments putting pecans in the spotlight. 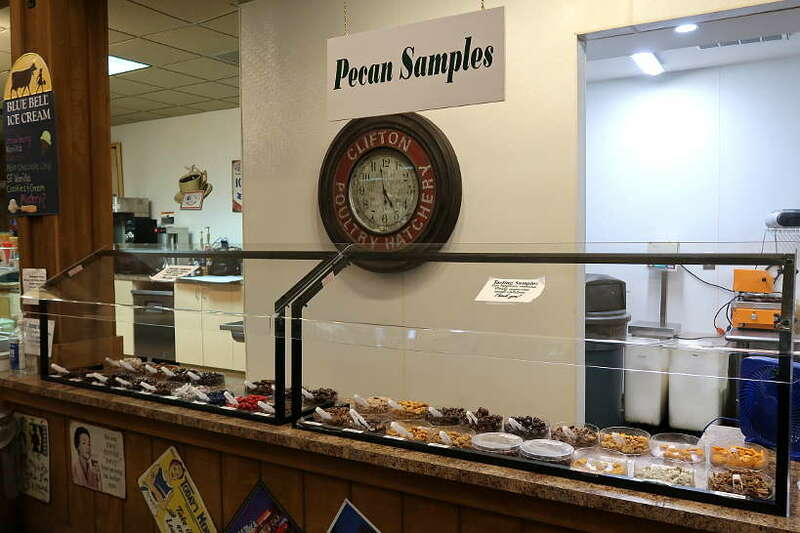 Even though we didn’t have time to visit all the places featured on the pecan trail, we found new and exciting ways to try pecans at the following stops. A great place to start on the pecan trail is Young Plantations. Founded in the 1920s, this family-owned business was once the largest pecan sheller (where pecans are removed from their shells) in the world. Now, Young Plantations operates as a retail space selling pecans, baked goods, and snacks and pecan related products. One of the best parts of Young Plantations is the free sample bar where you can taste test all the scrumptious flavored pecans your heart desires. We sampled a range of flavors from chocolate covered pecans, jalapeno, buttered, roasted and just plain natural pecans. Carrying forward the buttery pecan flavors are baked good samples right next to the nuts. Delicious bread and pie samples made with fresh pecans tempted us further. We loved the jalapeno flavored pecans and the pecan pie muffins. Overall, we were impressed by the incredible selection and flavors. The store also offers all kinds of beautifully packaged pecan-related gift baskets and boxes. You’ll also find a great selection of South Carolina themed items from coasters, t-shirts, mugs as well as local jams, honey, South Carolina grits and much more. The friendly staff is available to offer advice and more importantly can ship your gifts or pecan pies back home for you. Plan on spending at least an hour browsing, tasting and shopping. 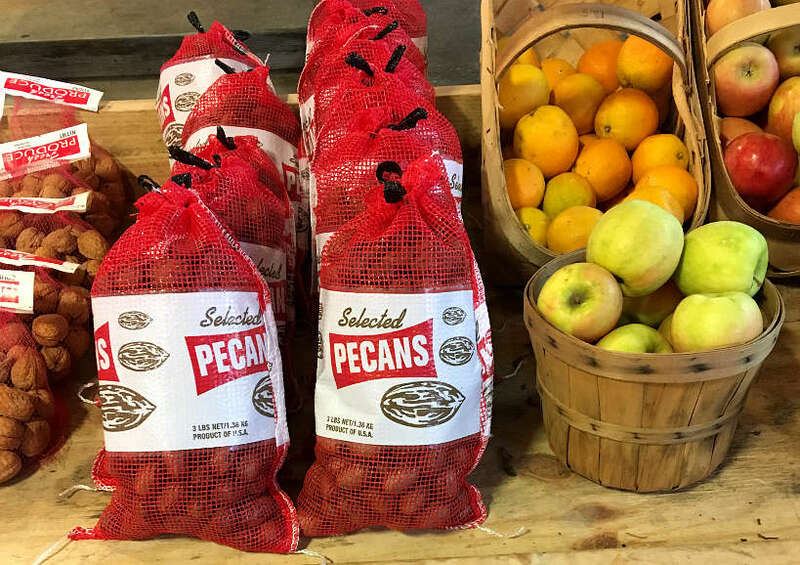 While the Pee Dee State Farmers market is not officially on the pecan trail, you don’t want to skip this unusual market. 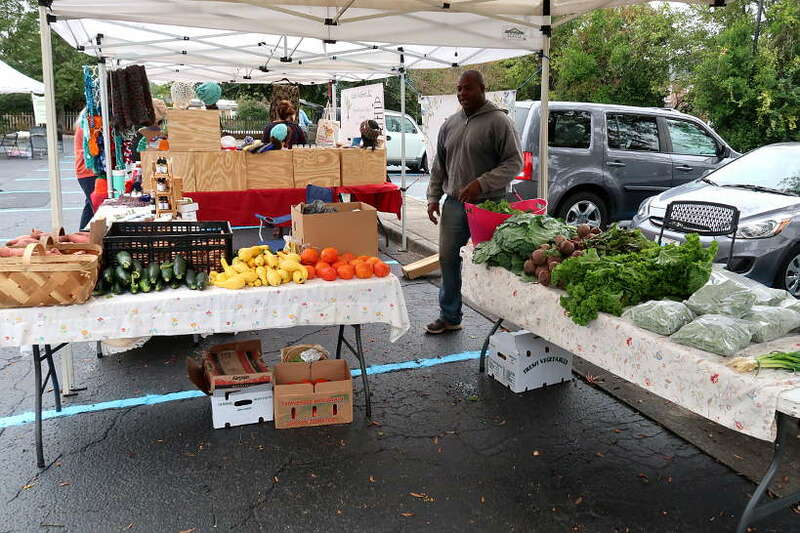 The Pee Dee State Farmers market is a massive drive-through market set on 55 acres. You can literally drive your car through the market while stopping to shop at the various vendors. This market is open year-round and showcases the freshest and finest produce in the state. In October when we visited, the market was filled with pumpkins, peanuts, seasonal vegetables like turnips, squash, sweet potatoes, and rutabagas, leafy greens and not surprisingly, fresh pecans. On the market grounds are two restaurants on the pecan trail. For takeout and delivery only, Lobster Express Co. offers seafood and traditional southern dishes. Julia Belle’s, the second restaurant, is a much sought after lunch spot for Southern cooking and their famous White Russian Pecan Pie dessert. Stuffed and pacing ourselves for a full day of eating on the pecan trail, we didn’t have a chance to eat at Julia Belle’s. After shopping at Pee Dee Market, stop by Julia Belle’s restaurant and earn a stamp in your passport as you indulge in this delectable dessert. One of the most popular lunch spots in town is Tubb’s Shrimp & Fish. Fortunately, it is also on the pecan trail and a stop we really enjoyed. The restaurant is known for fish and seafood, prepared in a Southern and Lowcountry style. In this old refurbished gas station, we enjoyed incredibly fresh fish, seafood and shrimp & grits. 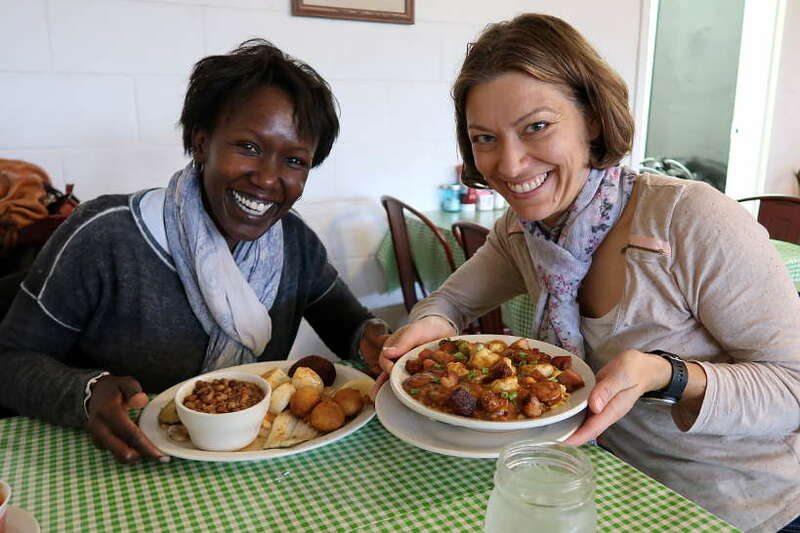 You may read more about our experience at Tubb’s in our previous article, how to eat your way to the best food in South Carolina. The one thing you’ll absolutely want to do is leave room for dessert. We are glad we did. 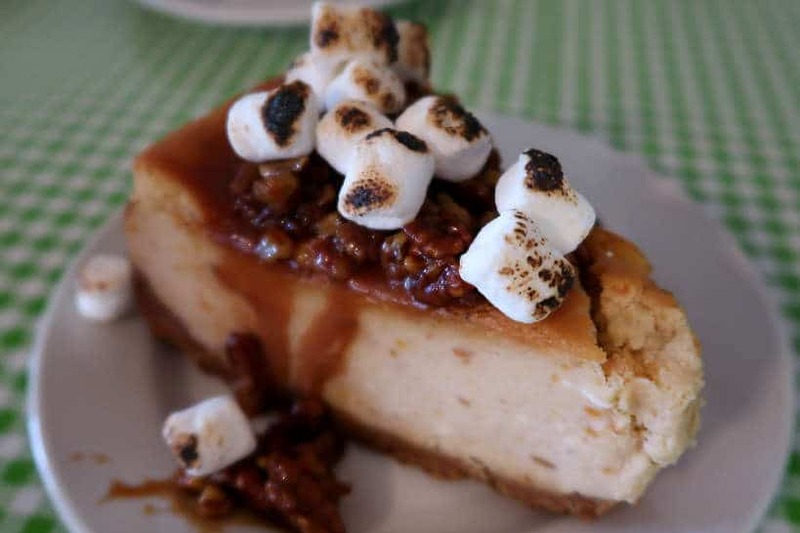 Tubb’s sweet potato cheesecake topped with pecans is to die for. The mild and creamy sweet potato cheesecake filling is loaded with flavors of the season. And the pecans with marshmallows makes it irresistible. 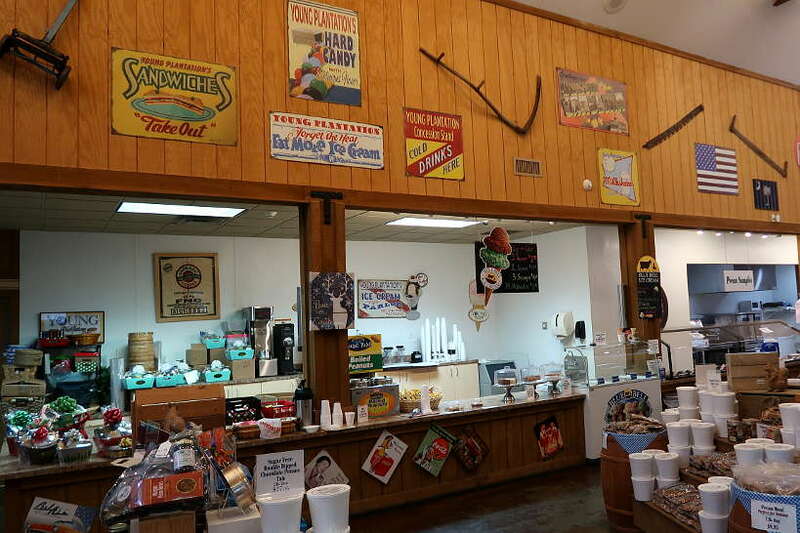 Go hungry and enjoy the rich flavors at this amazing stop on the pecan trail. Even though I felt like “I ate too much” after the hearty meal at Tubb’s, I was too intrigued not to miss the “Pecans Gone Wild” beer at Seminar. Rosemary was curious, though the taste of beer has never been for her. But could pecan beer taste different? 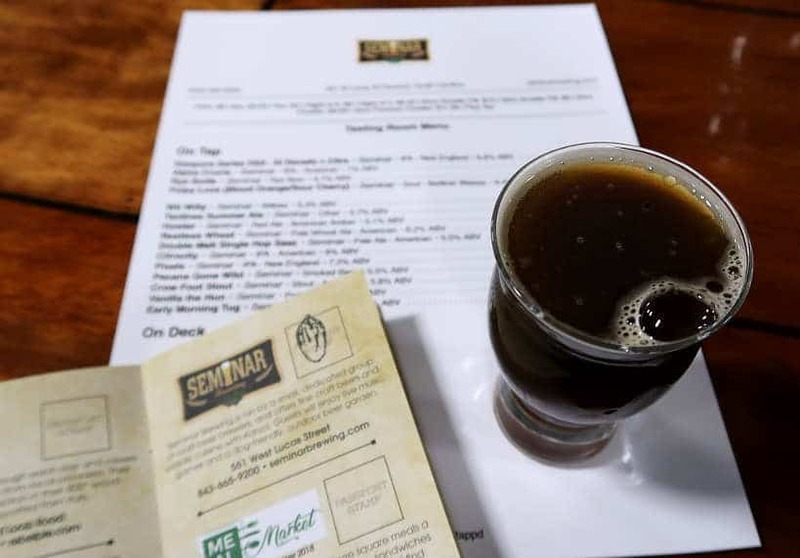 Seminar Brewery is located on the northern side of town, along one of the major roads leading to downtown Florence. Guided by the simple sign outside the large warehouse, we parked in the large parking lot in front of the entrance. As we stepped in this local brewery, we were surprised to see children playing in the brewery. There is a playground set up for kids to play while the adults enjoy their beers. The room is bright and spacious, with a large counter, where beers are served on tap. 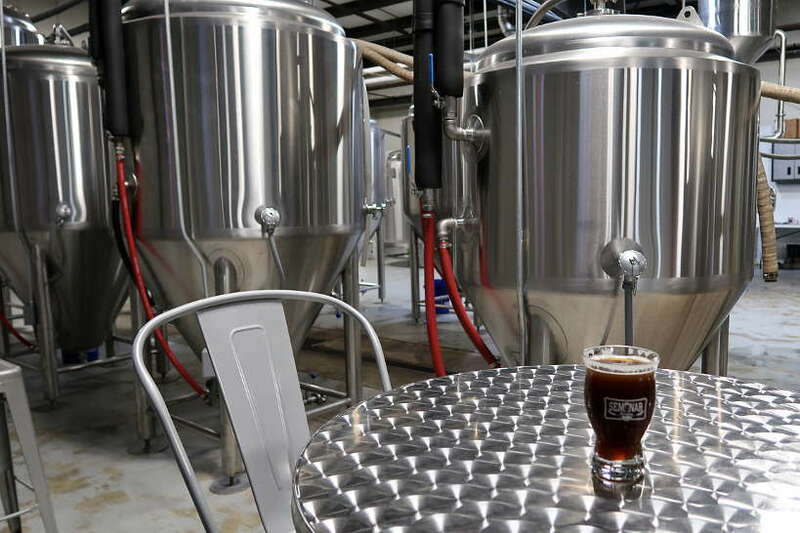 In the back of the room are large tanks and small round tables where beer drinkers can sample and enjoy their beers of choice. There are more than 15 beers served on tap as well as a limited selection of wine to satisfy non-beer drinkers like Rosemary. There are many ways to enjoy the beers. From tasting flights consisting of four or six beers all the way to a full 64 oz. Growler. I was thrilled to order a simple 4oz glass, just enough to taste this unique pecan beer and leave room for dinner. The “Pecans Gone Wild” beer is a smoked brown ale made with pecans. I found it tasty with a strong ale flavor and a nutty hint. Although I enjoyed the beer, the flavors were too strong for Rosemary to even attempt tasting it. In addition to beers, Seminar also offers a full menu with pizzas, sandwiches, and kid-friendly options. For our final stop on the pecan trail, we were excited to dine at Town Hall. The restaurant is led by executive chef, Kelly Vogelheim, one of the few female chefs in Florence. With a menu that changes with the seasons, the restaurant is farm-driven and Southern-inspired. Using locally and responsibly raised meat, pork and seafood, the menu features an amazing selection of starters and entrees with familiar and unexpected ingredients. 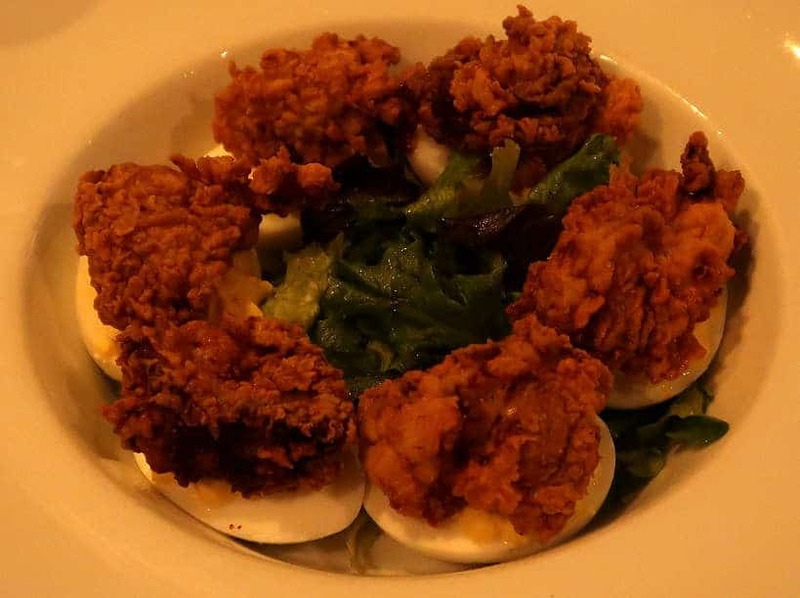 One traditional Southern starter we had for the first time were deviled eggs, with a twist. In a creative manner, the chef topped traditional deviled eggs with gulf oysters for a wonderful explosion of fresh flavors and textures. Modern and airy in design, the restaurant is welcoming and the staff friendly and professional. With guidance from our waitress, we focused on Southern specialties from the starters menu. Mac & cheese made with gouda and ricotta cheese and bites of pork belly was heavenly. A charcuterie board featuring pimento cheese and Clemson bleu, two Southern delicacies, were a treat. And farm fresh flavors in a seasonal vegetable plate was delightful. Although we were stuffed, we wanted to earn our last stamp in our pecan trail passport. 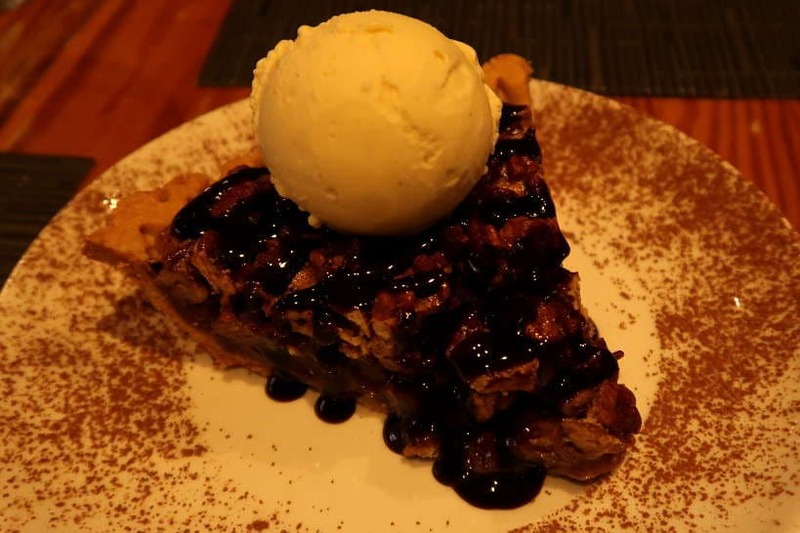 The chocolate pecan pie with vanilla ice cream for dessert was the perfect finish. With our favorite flavors, chocolate and vanilla ice cream, the pecan pie was elevated to new heights. Tasty and not too sweet, this was the perfect end to pecan inspired flavors on the South Carolina pecan trail. One of the fun activities to do in Florence, SC is to have a drink at a rooftop bar. Town Hall is the first Florence restaurant with a rooftop bar, conveniently located across from Hotel Florence. 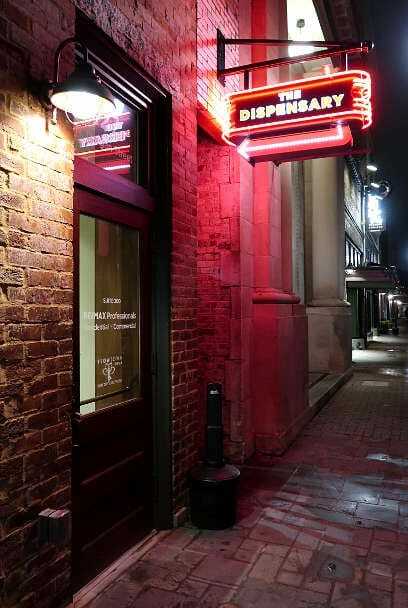 After your meal, head up to The Dispensary for artisanal cocktails, wine and local beer and views overlooking downtown Florence. Even though rain prevented us from enjoying a drink at The Dispensary, that’s just another reason to come back for the views and pecan inspired drinks. Later, when recounting our adventures on the pecan trail, we had a hard time choosing our favorite pecan inspired flavor. 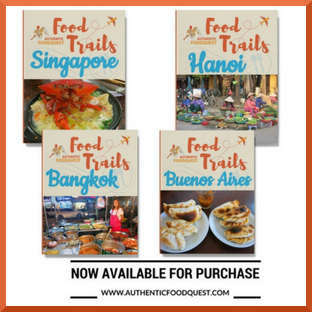 The sweet and savory range of flavors and unusual combinations only left us wanting more. As we looked through our passports, we were surprised to see that we only visited five stops on the pecan trail. Who knew Florence had such a dynamic pecan-centric scene. Beyond the South Carolina Pecan Trail, there are so many more things to do in Florence, SC. Along the way, we enjoyed visiting a botanical garden and the downtown Florence farmers market. On your travels stay for a couple of days and take in all the fun things to do in Florence. Be charmed by this small historic town and enjoy warm Southern hospitality. 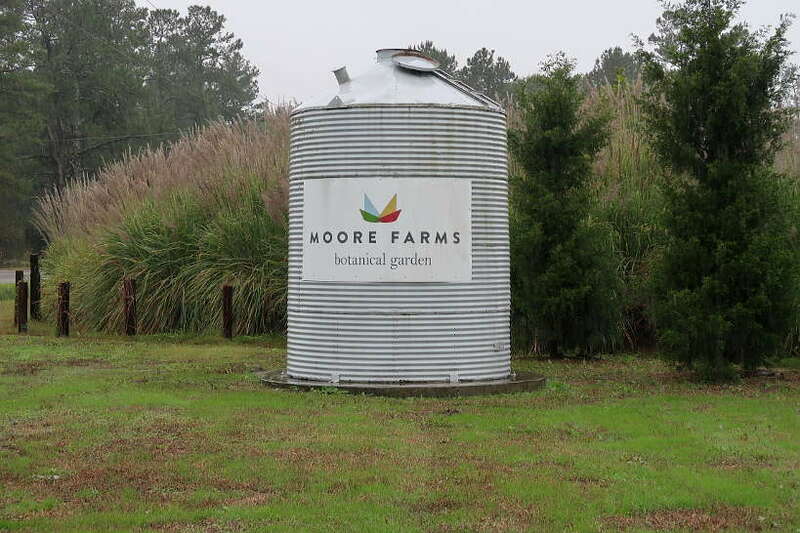 Described by Southern Living Magazine as a “Paradise Found”, we were surprised by the natural beauty of Moore Farms Botanical Gardens in Lake City. Well worth the 40-minute drive from Florence, Moore botanical gardens, nestled among soybean and corn fields is an unforgettable Southern garden. On a tour, we were in awe of the stunning grounds, a skillful mix of plants and the native lush native pine trees. Moore farms also offers workshops and classes regularly and the staff is always willing to share their expertise. Book your visit in advance and enjoy the tranquility and creativity of this inspirational space. On our way out of town, we stopped at the Saturday City Center farmers market. Friendly vendors proudly showcased their artisanal craft products and talked about their locally grown fruits, vegetables, and meats. This lively open-air market also has tents set up where you can eat breakfast or lunch cooked onsite. Visiting this downtown Florence market is another fun activity to eat and mingle with the locals. 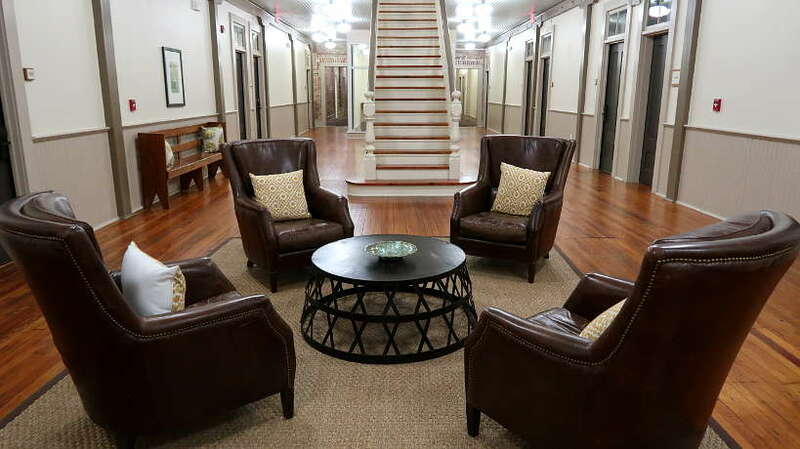 While on the South Carolina pecan trail in Florence, book your stay at Hotel Florence. Located in downtown Florence, you can walk to many of the restaurants featured on the pecan trail. This boutique hotel is filled with history and character. Converted from three historical buildings, the hotel offers a look into Florence’s past contrasted by chic modern furnishing and luxury amenities. With luxurious rooms, fitness center, spa, complimentary wi-fi and daily treats between 6:00 pm and 8:00 pm, you’ll enjoy your home away from home. 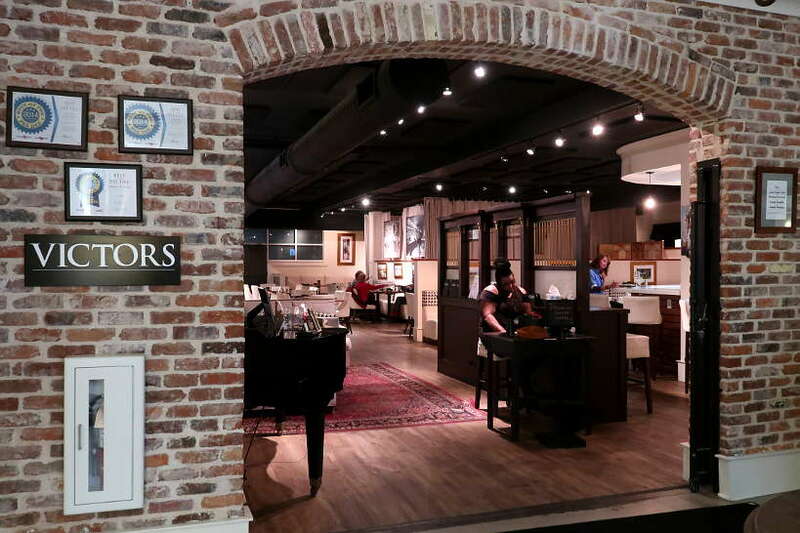 On the first floor of Hotel Florence is Victors, a popular stop on the pecan trail. The bar is known for offering premium beers and more than 200 wines. To earn a stamp in your passport, have the bartender also whip you up a Pecan Pie martini. This intriguing cocktail can start your evening in downtown Florence, or help you wind down after a day on the pecan trail. Do you love pecans? What is your favorite pecan inspired food or drink? Please tell us in the comments below. Thank you for allowing me to remember my two years in Temple, Texas and a lot of pecans also there, including my backyard! LOVE pecans, I would do a pecan themed getaway lol. I want the White Russian pecan pie, the pecan beer, and the sweet potato cheesecake, please. And the free snack bar at the plantation. This sounds like the perfect trail for you Evelyne. Not only will you have a delicious time, Florence is also a charming Southern town worthy of discovering. Hope you can get to South Carolina soon for the amazing pecan trail. Cheers. Did you make it to all 21 locations? I’ve never heard of the Pecan Trail, but I love pecans. That White Russian pecan cake looks mouth-watering! And one of my favorite Southern treats is Pralines, but I didn’t see that in your list. There is no way we could make all 21 locations…lol. As a pecan lover you would love it. We had Pralines at Young’s Plantation , so you can be rest assured all your favorite pecan related treats are there. Thanks, Tami. 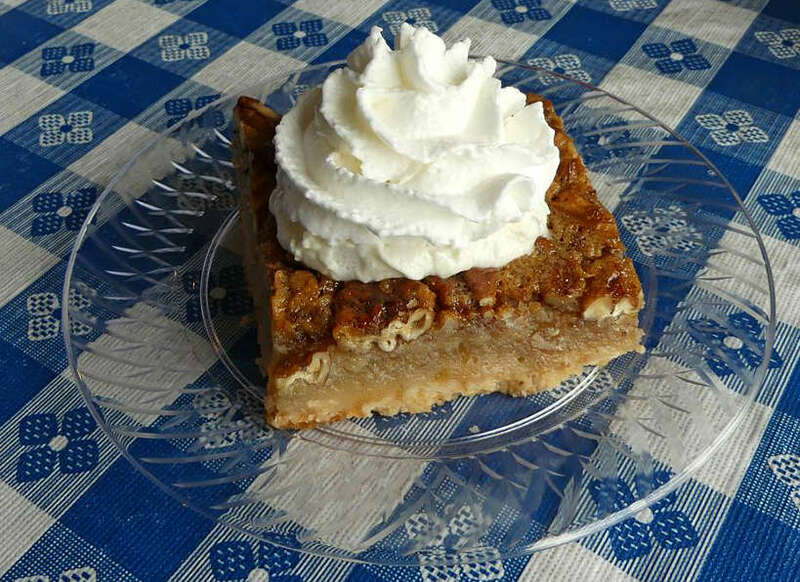 I love pecan pie, so I think I’d get into some serious trouble on this Pecan Trail. But, it’s not just the pecans and pie on this trail, all the other foods and drinks looks amazing. I’m dying to try that sweet potato cheesecake and the craft beer. A little trouble is good for the “pecan” soul…don’t you agree, Erin? Truly, a trip to Florence is an absolute joy, hope you get to visit soon. Thanks for stopping by. Such an awesome read! I’ve been to a pecan farm before, but not of this magnitude. I would love to have tried the pecan pie muffins with the jalapeño nuts. Yum!! 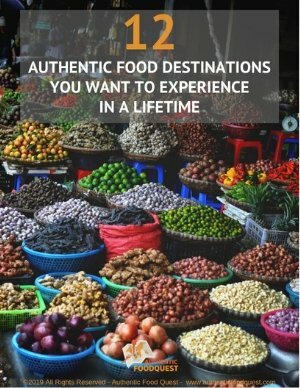 I’m sharing this post to our Travel the South site. Nicely done ladies! I had no idea pecans were the only major nut tree native to North America. I eat pecans on a regular basis and this trail is something I’d totally love to do! I see some pecan pie martinis in my future. 🙂 Thanks for putting this small town on my radar. You are most welcome, Lara. 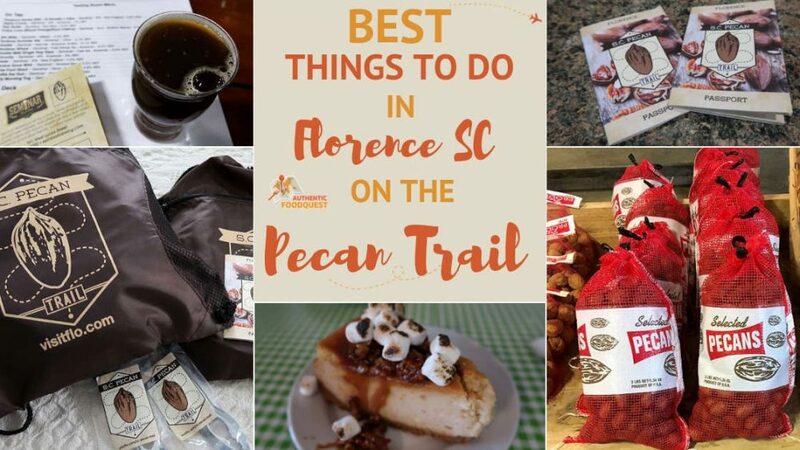 You’d love the Pecan Trail in Florence, SC. We were just as surprised to learn that pecans are the only major nut tree native to North America. It’s always good to know more about what we love 🙂 Cheers. O..M..G..! I would never eat pecans out of the shell like I do cashews but growing up in the south, I LOVE Pecan Pie! So Sign me up, give me my Pecan Passport, and send me out to eat all the amazing Pecan inspired foods while drinking Pecan flavored cocktails or beer on the Pecan Trail. I just learned about a similar program in Ohio I think that is based on Donuts and they do the whole passport thing too! I am going to get so fat eating all these amazing foods. When I go to Florence, South Carolina I am definitely going to eat all those desserts, especially the White Russian Pecan Pie! That looks so good! 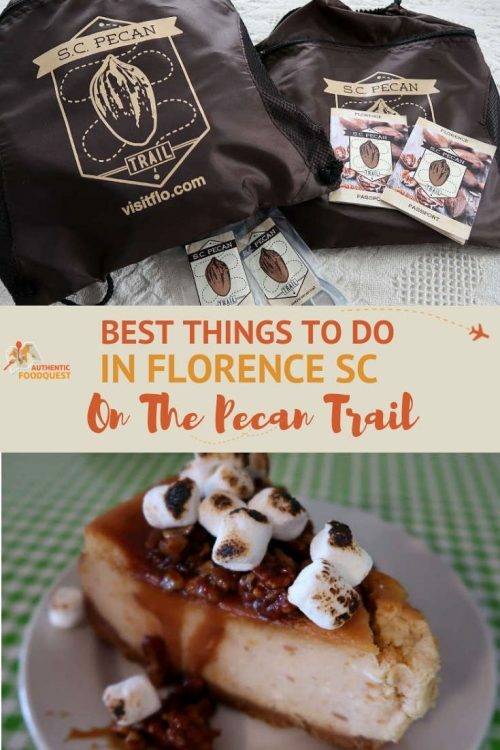 Hope you are traveling to Florence, SC soon, because it sounds like the Pecan Trail has your name written all over it. The creativity and unique flavors created from pecans is quite a culinary feat. Had no idea about the donuts trail in Ohio? Is there a particular reason why the donut trail is based there? The history of pecans in Florence, goes way back, over 100 years and the Pecan Trail pays homage to that. As a pecan lover you will love all the delectable flavors in Florence, SC. 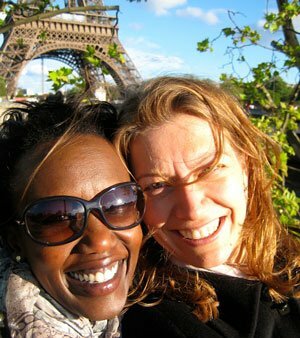 Hope you have a chance to visit soon. The town is charming and the locals are so friendly. You’d absolutely love the White Russian pecan pie and more. Thanks, Danik for stopping by. My mom’s family roots are in Lancaster SC, about an hour up the road from Florence. She is absolutely in love with pecans. Her pride and joy is a northern hardy pecan tree that she has planted at the family farm in Ohio. It produced nuts for the first time this year too. I would absolutely love going on the Pecan Trail with her and sharing some of these experience. She has a bit of a sweet tooth and never says no to pecan pie. That is so wonderful to hear. Your mom would absolutely adore Florence. Spend a few days to explore the region and eat all the amazing pecan inspired flavors. Highly recommend Hotel Florence as a place to base yourself. Perfect gift experience for mom. Thanks for sharing. This all sounds so delicious! I adore Pecans and now know they are our native nut. You would have to roll me out of town after eating through your pecan-centric itinerary. I love the idea of Pecan flavored cocktails but that sweet potatoe pie has my name all over it. You are right, Elaine, “roll” out of town ..lol. We only hit 5 out of 21 stops. To make the most out of the experience, plan for several days. Besides the Pecan Trail, there are many outdoor activities to help keep fit and “make room” for even more pecan inspired delights! Hope you get to Florence, SC soon. Cheers. The pecan martini sounds like the perfect way to end the day. Did you try one ? Pecan pie martini? OMG. I NEED TO HAVE ONE! Pretty sure I need a slice of sweet potato cheesecake too. Love the idea of a passport and earning swag for purchases. The pecan trail is a really fun idea and a great way to explore the charming city of Florence. The creativity of all the pecan inspired flavors is amazing. Hope you get to South Carolina soon, this experience is a must do! We really do need to head back to South Carolina for a visit. A White Russian pecan pie sounds perfectly delicious. I can see why it is called “heavenly”. So a visit to Florence may be required. Possible for the annual pecan festival. But the sweet potato cheesecake may be a good reason to visit Tubb’s. Or the Pecan Pie Martini a reason to stop at Victors. I am sure we would enjoy lots of other things in Florence other than eating! There is so much to explore in Florence and the pecan trail is certainly one of the highlights. Plan to spend enough time to make the most of the amazing pecan related treats and outdoor activities. The warm and welcoming locals will certainly add to your experience. Thanks, Linda. So glad you discovered Florence, South Carolina (not to be confused with Florence, Italy) 🙂 Pecan pies come in all sorts of variations and they are quite tasty and rich. The pecan nuts themselves are pretty good. If you’ve never had them before, they are worth seeking out. Do they make walnut pies in Iran? Would love to taste those in exchange. Thanks, Mansoureh for stopping by. Thanks, Ami. 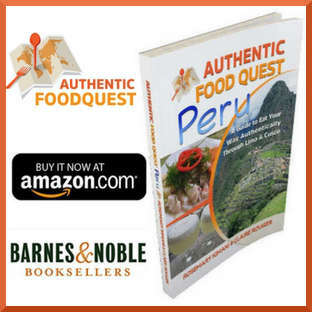 A really fun trail with so much to discover and appreciate about this native American nut. 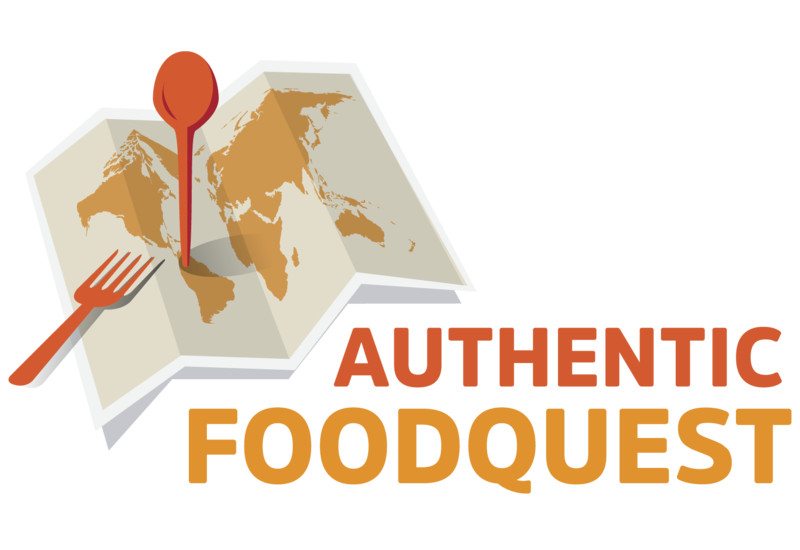 This is such a fun way to explore the food of a city, and I love how you can earn swag for points! I’m not sure if I’ve had pecans before, they’re not that popular in Europe, but the sweet potato cheesecake topped with pecans sounds amazing!